Choosing and Using Equipment | Phil – Refuelled! Photography: Choosing and Using Equipment – No. 2 – Meet the Families! First of all, many thanks to those of you who visited ‘Choosing and Using’ No. 1, here, and encouraged me with your comments. Let’s have a look at how to take this idea forward! OK, so if you’re going to take photos, and save them, edit them, print them, publish them, view them, or share them electronically, you’ll need some kind of digital camera. So what’s the best one? Well, the best one is, of course, the best one for you out of the enormous selection out there. So think about what uses you’ll have for your camera. You may want to use photography as a tool to help you in your work or your studies; to add to your enjoyment of other parts of your life and pastimes – for example, keeping mementos of family life as children grow up, or of special occasions or sports events, or indeed any thing that interests you; or yet again, you may wish to pursue photography for its own sake – for the sheer appreciation of shape, line, colour, and everything that helps to make an interesting, inspiring image. It’s likely that a mixture of these motives gives you the incentive to choose, and use, a camera. All this will give you a pretty good clue about when and where you’ll want to use a camera, the level of image quality you’ll expect, and the kind of tasks and situations you’ll want it to cope with. You’ll also now be able to think realistically about budget! For the purposes of discussion, let’s say that many people would think of a Rolls-Royce as the best car. Now, supposing for the moment that you could afford one, would it be ideal for nipping out to the shops in? Clearly, something much smaller and easier to manoeuvre, not to mention a fraction of the price, would serve the purpose more appropriately! In much the same way, a top-of-the-range DSLR costing thousands of pounds is not ideal for taking pictures of the kids at the seaside! So, now to be more specific, cameras come in several main categories – I’ll use the term ‘families’ because, just like families of people, characteristics are not entirely cut and dried; there’s a bit of blurring from one group to another! First come ‘compact’ cameras; and they are just that: small in size, weight, and cost – easy on the pocket, in every sense. They’re also generally very simple and quick to use, making them ideal for many everyday shots. The downside? Well, the quality of the images they produce won’t be the highest attainable, although it will be more than good enough in many cases; there’s not usually a lot of provision for manual over-riding of the camera’s automatic systems, so progress into the finer points of the art is somewhat limited; and by their very design, they are less able to cope with the more specialist picture-taking tasks. Now let’s look at the other end of the scale; the digital single-lens reflex camera, or – more easily said – ‘DSLR.’ This is the family of heavy-weights – in terms of those same three factors: size, weight – literally – and cost. So, what are the advantages? Well, as you might guess, the contrast holds true; we get superb image quality, the choice of automatic operation or several types and stages of manual control, and the option to use all kinds of additional interchangeable lenses, and a host of other accessories, to suit an incredible range of applications. Here, then, is the choice of the user with a passion for the task! The ‘superzoom compact’ is less of a miniature marvel, more expensive, but can capture wide-angle views, very narrow-angle shots of distant subjects, and everything between the two, often giving a good close-focusing facility, for taking pictures of small objects. So… from planes in the sky to the bee’s knees – or just about. With a few compromises of pocketability, image quality, and sometimes (arguably) value for money. Then, sitting just below the DSLR, comes the ‘compact system camera.’ CSCs can be used with a range of interchangeable lenses and accessories just like DSLRs, but they are a little smaller and lighter, although not, as a rule, less expensive. The main downside at present is that the range of accessories and extra lenses designed for CSCs is much less, and costs of like-for-like items tend to be higher. To explain the main difference between DSLRs and CSCs, we need to compare the viewfinder arrangements. This is an important matter in itself! DSLRs have a reflex viewing system which uses a mirror and a prism (or further mirrors) to direct the light from the lens to the eyepiece. This means that the user sees what the lens sees, with no electronics involved! When the picture is taken, the first mirror is lifted out of the way, allowing the image to fall on the sensor. (This arrangement has been used since the inception of film SLRs.) Now, this mechanical system contributes significantly to the bulk of the camera. A CSC, however, does away with all this, relying instead on using the main sensor, which captures the image anyway, to send information to an electronic viewfinder or screen, thus giving a reduction in size and weight. Now, a general issue regarding the sensor – the part of the camera which detects the image, the electronic ‘film’ if you like! This component comprises an array of tiny light-sensitive electronic dots, called ‘pixels’ – your camera’s sensor will have several million, hence the term ‘megapixel.’ As we move up through the families, the size of the sensor increases, so the individual pixels can be larger. This, in turn, means they can give a stronger electrical signal, resulting in higher image quality. (More on this in a moment.) The sensor in a small compact camera is around the size of your little fingernail. In a DSLR, it will be typically 16mm x 24mm, or even bigger (24mm x 36mm) in some models intended for professional use. Don’t be caught up in the argument that, because 18 megapixels (say) captures more detail than 12 megapixels, the image quality will be better. If we put more pixels into the same space, they will have to be smaller. This means that the electrical signal from a pixel will be less. This, in turn, means we will have to amplify it more. Now think what happens when you turn up the volume on an audio amplifier: when there is no signal, such as from a CD player, going in, you can hear that ‘sea-shell’ sound from the speakers, can’t you? Well, that’s caused by electrical ‘noise.’ The amplifier in your camera is prone to the same phenomenon; this sometimes shows up as a number of random dots in the image, that shouldn’t be there! Designers can overcome this problem using noise-reducing software. But this tends to slightly blur the image. So the overall quality of an image may sometimes be better using less pixels, especially in the case of smaller cameras! Now, it’s easy to see the advantage of that bigger sensor in a DSLR, isn’t it? I’ll conclude with something that takes us right back to the beginning: you want to find the right camera for you. Now, technically, there aren’t a lot of bad ones out there. But the one for you must suit your hands. So don’t buy what you haven’t seen, and felt in your hands! Go to a camera shop, and ask to try out a few different models. Only this way can you hope to find a camera you are physically comfortable with. And that is an essential part of your journey towards taking good pictures. Thank you for reading. Please remember that I look to you for directions on how to keep this feature alive. I’ll just add a couple of shots that give an idea of the versatility of a DSLR – and my kit is not particularly advanced! This landscape picture was taken using a wide-angle zoom set at just 14mm – that’s like 21mm in terms of 35mm film. 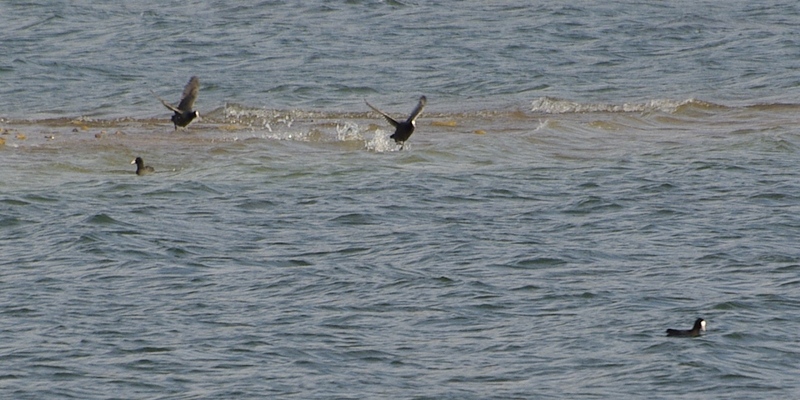 And this picture of waterfowl is actually a cropped portion of a shot taken with a telephoto zoom set at 300mm – that’s 450mm in 35mm terms. a case of going up to the limits of the equipment, and then some! O.K… I’ve finally got round to what I’ve promised/threatened to do for some time – starting a series of posts here on just what the title says: choosing and using photographic equipment. First of all, a big ‘thank you’ to all of you who take an interest in the pictures I post on here, and leave comments. Many of you have expressed interest in how various pictures were taken. You are all partly the inspiration for this idea. If continued interest is evident, I hope to make this post the first of many. Not that I am the world’s greatest living authority on cameras and accessories. But I hope this concept will stimulate the right kind of approach among all who are interested in taking the incredible unending journey that is photography. The first item of equipment I’d like to talk about won’t involve you in any expense, or, indeed, in any choosing. This is because you have it already. And you’re already in the habit of carrying it everywhere, which is useful. But I hope, too, that you’re already in the habit of taking care of it. This is because, unlike the kind of things I’ll hopefully go on to discuss, This item, although it has cost you nothing, is irreplaceable. Those two things at the top of your face, one either side. Together with your brain (it’s no use protesting, you have got one. Even I have one) you use them for seeing. With a little practice, you can use them for noticing. Noticing beauty in the everyday things as well as the unusual. Let’s look at an example. 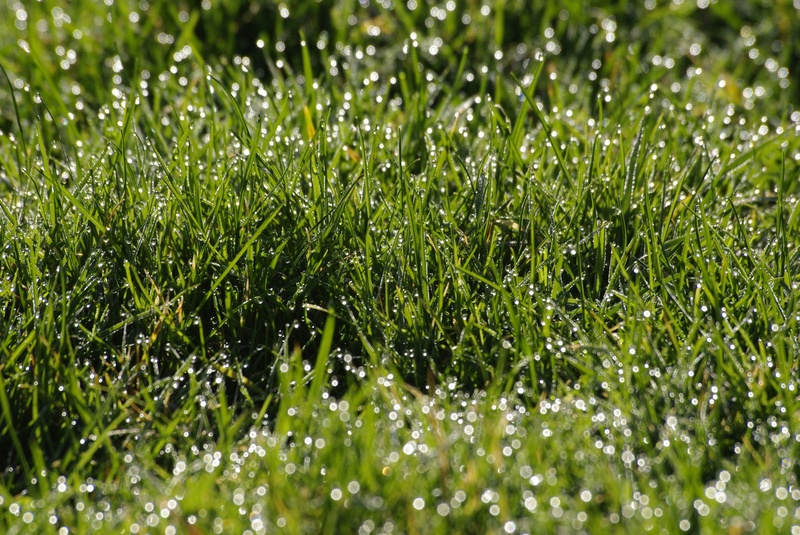 A dewy spring morning with sunshine. Something we all know at least something about. But how much have we noticed? This kind of picture captures the beauty of nature. And it doesn’t need particularly advanced equipment. It just needs you to stop, look around you, and notice where the beauty is. Oh, and in this case, you’ll need to lie on the ground and get wet. This conveniently leads me on to the only other main point I’d like to make, for now; that is, no amount of expensive equipment will extend your skill. That comes with practice and experiment. What extra equipment will do, however, is to extend your scope. It can do this either by making a particular kind of shot possible, or by enabling significant improvement in the overall quality achievable in a given situation. Interested? Please let me know in the reply box below. Thank you for reading.